Welcome back to my blog. We arrived back in Boston from the Catholic-Orthodox joint pilgrimage last Wednesday evening — Sept. 26 — and since then I have been attending meetings, events and two installation Masses. On Sept. 28, I made a very brief trip to Pittsburgh for the installation of Bishop David Zubik, who had been the bishop of Diocese of Green Bay, Wisconsin. 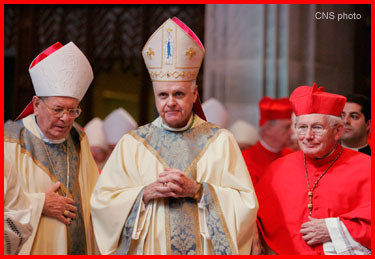 It is the custom among bishops to attend the Mass of installation of other bishops. 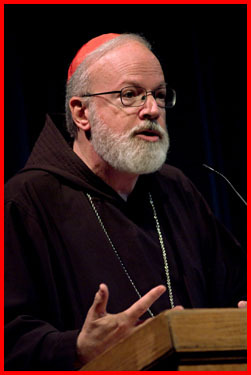 I wanted to be there because I belonged to the Saint Augustine Province of the Capuchins which is located in Pittsburgh. 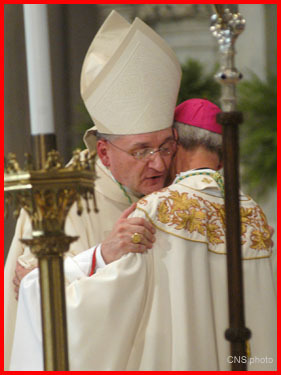 I studied in the seminary and was ordained there, and I have known Bishop Zubik for many years. I was happy to be a part of his installation ceremony. As I mentioned, it was a very quick trip, and we left early to get back to Boston. 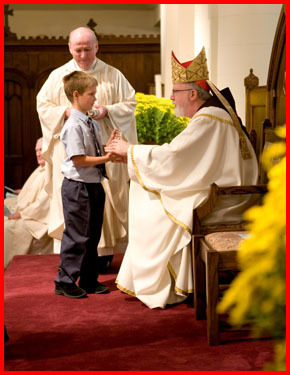 Then, Sunday we had the Mass in Brockton to celebrate the new Trinity Academy. 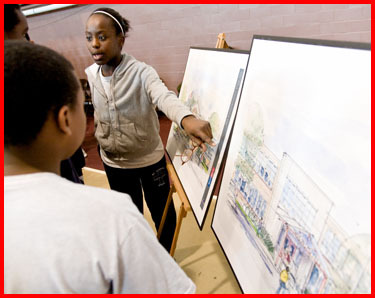 The school system in Brockton has been revitalized as the first step in the 2010 Initiative for schools in the archdiocese. 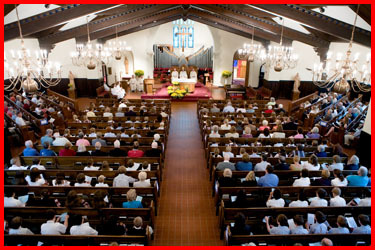 The Mass at Trinity Academy was beautiful, and so many people came that there was standing room only. 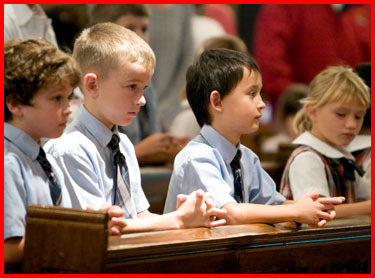 The children did the readings and petitions and so forth. Afterwards there were tours of the schools and a reception. The people were all very, very pleased with the way that the school has turned out. It was a happy occasion, and I was very glad to be a part of it. 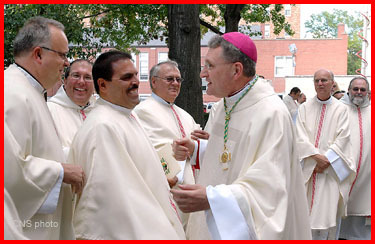 The following day was the installation of the archbishop of Baltimore, Archbishop Edwin O’Brien. 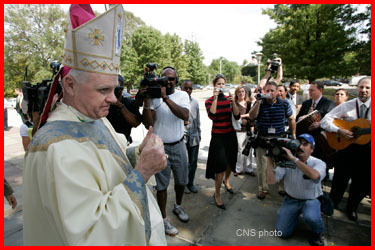 Most of the cardinals from the United States were there because it is a cardinalitian see. There were about 400 priests and maybe 60 bishops who were a part of it. 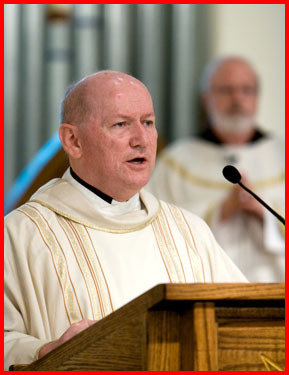 Archbishop O’Brien comes from his position as the military ordinary and so a number of our Boston priests who have served in the military were also there for his installation. 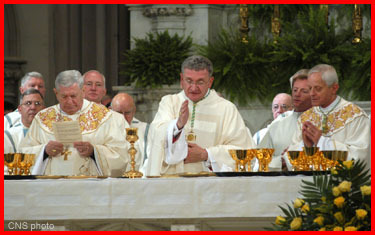 Additionally, the Mass was televised by EWTN, so many people in Boston were able to see it. 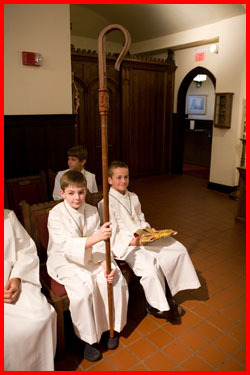 Baltimore was the first diocese in the nation — the primatial see in the United States. And so, two-hundred years ago Boston was a part of the Diocese of Baltimore and then, in April of 1808, the first new dioceses were founded in the United States — Boston, New York, Philadelphia and Bardstown, Kentucky — currently Louisville. At that point Baltimore became an archdiocese and the four dioceses became the suffragan sees of Baltimore. On Tuesday, I gave the closing remarks at a panel discussion at Regis College to celebrate their 80th anniversary and annual Founder’s Day. 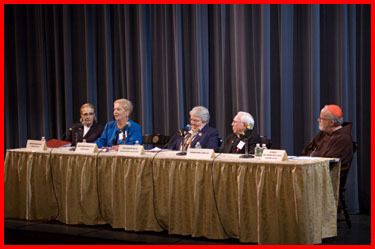 The panel was moderated by Mary Jane England, the college president, and discussed the history of the college as well as the participation of the Sisters of St. Joseph in that history and their tremendous contribution to the Church in Boston. It was a very interesting exposition, and there were many alumni at the event. 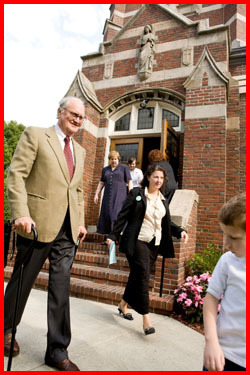 This year Regis has opened its doors to male students for the first time. The new policy has given them a boost on their enrollment, so it has been very good for the institution. 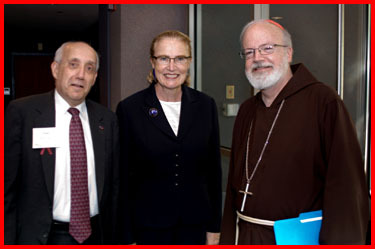 That evening, I attended information sessions for the Renew program here in the Archdiocese of Boston. The program is named, “Arise: Together in Christ” and is specifically designed to meet the pastoral needs in our archdiocese. It will be the centerpiece of our bicentennial celebration. 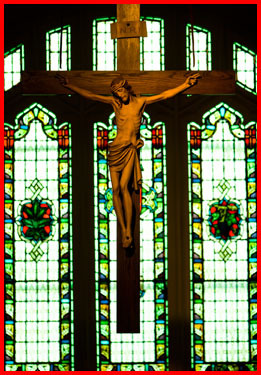 Renew International is a canonically-recognized Catholic organization based in the Diocese of Newark. 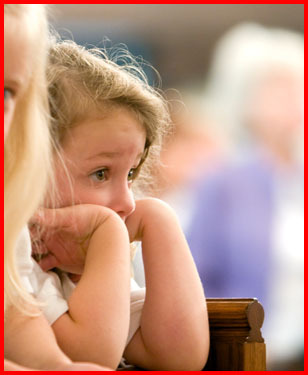 It seeks to foster spiritual renewal in dioceses throughout the United States and more than 20 other countries. Information sessions were held from Sept. 24 to Oct. 4. Pastors, parish staff and lay leaders had the opportunity to attend one of 10 information sessions. I was able to attend two of the sessions that day, one in Portuguese for the Brazilian and Cape Verdian communities and the other in English. 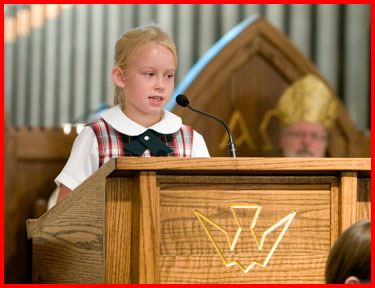 Arise will be offered in English, Spanish, Vietnamese, Brazilian and Haitian Creole, which are all common languages of different Catholic communities. 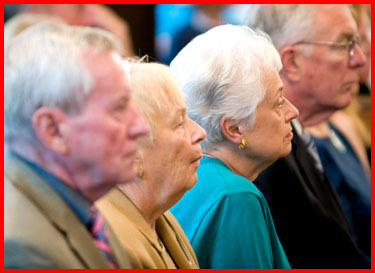 We are pleased that a vast majority of parishes have been represented at one or more sessions. We have been very gratified by the response on the part of the parishes. We are hopeful that this process can help to bring about spiritual renewal in observance of our bicentennial. Arise is a way of inviting people to adult faith formation, prayer and reconnecting with their local faith communities. 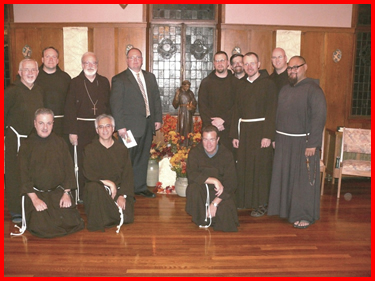 On Wednesday evening I joined the Capuchin Community at the San Lorenzo Friary in Jamaica Plain to attend the Transitus of St. Francis, a vigil service to mark St. Francis’ passage to eternal life. 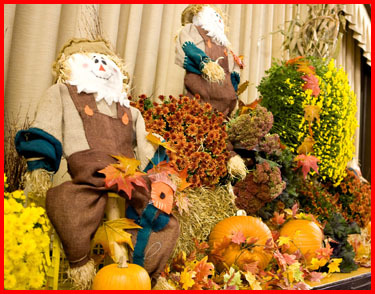 It is a Franciscan tradition that takes place each year on October 3, the evening before his death. The following day is his Feast Day and glorious entrance into the presence of God. Here in Boston, every year there is a big celebration at St. Anthony Shrine on Arch Street. 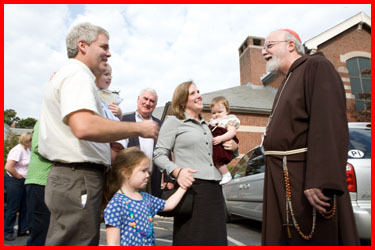 Different Franciscan communities have different observances. 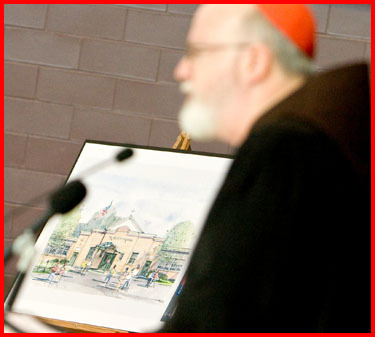 The services include prayers, reflections and readings from the life of St. Francis. We pray the prayers he prayed. He had the Gospel accounts of the Last Supper and Passion and so we also read them. St. Francis died at the infirmary of the Friary of the Porziuncola in Assisi, which is now located inside the Basilica of Santa Maria degli Angeli. 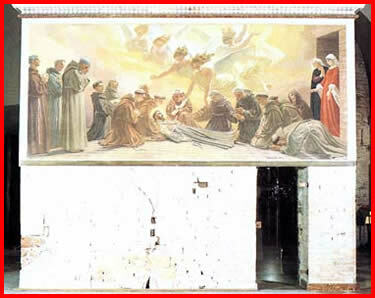 He asked to be laid on the ground and the friars sang the canticle of brother sun that he had written, read the Gospel to him and prayed psalm 142.
now converted into the Chapel of the Transitus. 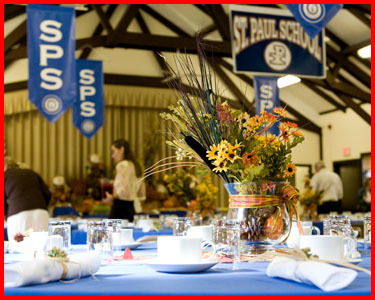 On Thursday, the feast day of St. Francis I celebrated Mass at St. Paul school in Wellesley. 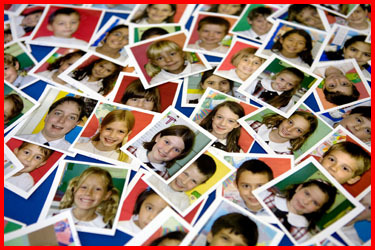 The school was also honoring grandparents of the children so there were many grandparents and also a few uncles. 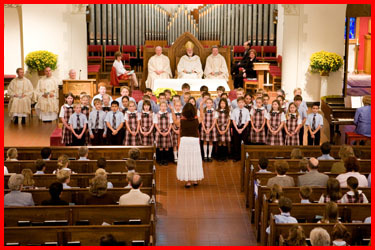 The music was very beautiful and the children also sang the prayer of St. Francis both in Spanish and in English. The students are all learning Spanish at the school. They were very happy to showcase that. After the Mass there was a breakfast for the grandparents and the others. I was very happy that the grandparents were honored, because they have a very special role in transmitting the faith and the traditions of the families to their grandchildren. 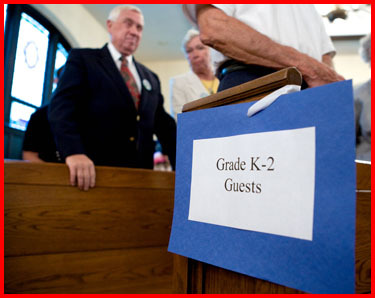 It was a wonderful idea to bring the grandparents in and to honor them. I also wanted to take the opportunity to again answer a few questions posted on my blog. 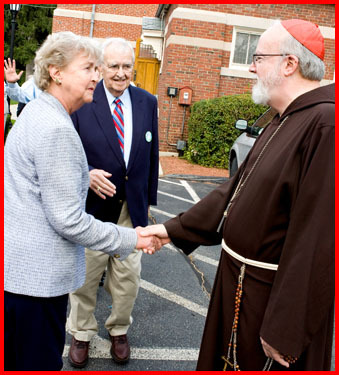 Eminence, I feel grateful for your work with the Orthodox on unity. As a Roman Catholic who is strongly interested in Orthodox theology (particularly iconography) I sometimes feel anguished (drawn in opposite directions) at the separation, but reading about the cooperation between you and Met. Methodius, the warm reception you received from the Ecumenical Patriarch and others I feel the sense of separation lessened. By the way, how do you get the diacritical mark (the sineadh fada) on your “a?” Is there a key combination for that? Comment by Sean. The accent is on the “a” and if you do not use the fada, as the accent is called in Irish, then it changes the meaning of the world. Then, “Sean” means “old.” But with the accent on the “a,” it means John. So that is why I use the accent. You can add the “a” in most word processing programs by finding the menu that allows you to insert a symbol. Then you can set whatever key combination you like. In Microsoft Word teh default key combination is to click the control key together with the single quote key “‘” and then click the “a” key. It will print the “a” with the accent. The liturgy of St. John Chrysostom used both by Catholics of the Eastern rites and the Orthodox is a very beautiful and ancient way of celebrating the Mass and certainly with stress on the transcendence. I am always impressed by the beauty of that liturgy. In our own diocese we have many different groups that use different liturgies, the Ge’ez rite, the Syro-Malabars, the Melkites, the Maronites. Each of the liturgies — also the Latin rite — have their own beauty and charm. Usually I just beg photos from whoever happens to be around but because this trip was so important we had a designated photographer, Greg Tracy, who works for The Pilot and who always does such a good job. If the event I am at is also covered by The Pilot I also use their photos, but very often, as I said, when I go to a place and someone asks if they can take my picture I say “yes but send them back,” and that’s how we get many of the pictures for the blog. I like to read your comments about the blog and to answer some of the questions posted, as long as I know the right answer.